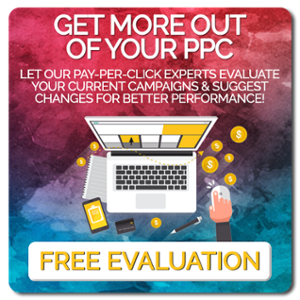 There are several key reasons why search engine optimization is changing, and at the top of the list is that the way people search is changing. Consider these key changes to the way people perform searches. More people are using longer search terms. A few years ago, that meant opting for long-tail keywords. Today's searchers, however, are consistently using search terms that are four or more words long. As a result, you need topic-rich content that will allow you to more effectively highlight exactly what searchers are looking for and rank for a wide range of search queries. Searches are becoming increasingly conversational. Most searchers are no longer formal when they type in their search terms, and they don't want to have to take the time to carefully consider their search terms to be sure that they're getting the right information. More critically, the rise of voice search has made it increasingly likely that searchers will offer their searches in a simple, conversational manner. Search engines are getting smarter. The algorithms that power search engines are improving and they're beginning to understand searcher intent. As a result, they're better able to deliver exactly the content that searchers are looking for. Instead of sending searchers to a site that approximates their goals, search engines are able to find precisely the sites that will fit searchers' needs. Search engines are also able to filter similar search terms, which means that you don't need to spend as much energy ensuring that you've covered every possible keyword combination. 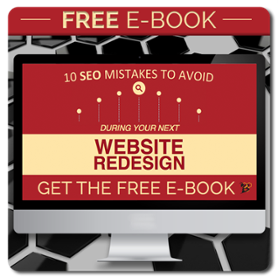 In order to meet the changing face of SEO, it's important to restructure the way you think of your website as a whole. Instead of a series of disjointed, keyword-rich topics that often end up competing against one another for search engine rankings, you want to create solid pillar topics that help anchor your content and establish where you want searchers to go first when they arrive on your page. Not only does this help increase your odds of ranking for important topics, it also helps guide users more efficiently through your site. You'll start with pillar content topics: the topics you want to rank for. Then, individual blog posts, infographics, and videos related to those important topics will be linked to and from the pillar page. Instead of having a chaotic series of posts that don't necessarily relate to one another, you'll make sure that each piece of content you create fits within your predetermined topics. This more deliberate content creation style improves search engine rankings for key topics and pages as well as making it easier for your visitors to find the content they're looking for on your page. When it comes to your big-picture topics, what are you trying to rank for? Instead of focusing on the specific queries that might bring searchers to your website, you can work instead on creating solid topics that are related to the information searchers most need when they visit your website. Your topic pages are pillar pages: that is, they form the "pillars" for your content clusters. These pillar pages are designed to be longer pieces of content (likely 2,000+ words) that provide a broad topic outline. Ideally, you will give a great overview of the topic and answer many of the most common questions around the topic. You'll then create smaller content subsections that deal with each of those issues and questions even more in-depth. Those smaller subtopics will be hyperlinked back to your pillar pages and your pillar pages will link to your subtopics. If you're struggling to move away from a keyword-based mentality, you may struggle to come up with the right topics for your business. Instead of thinking in terms of keywords, think about the broad, big-picture topics that you most want to rank for. For example, a company that provides rental homes might want to rank for "vacation" and "short-term rental properties" topics, amongst other important topics. Once you know what topics you want to rank for, you can go into more detail about them in your individual posts. What Type of Content Goes on Your Pillar Pages? Your pillar pages are large, broad pages painted with wide strokes. You want to be sure that your topic pages will answer the key queries of searchers who are looking for any information about that specific topic. For instance, in our example about a vacation home provider, it might be important to include answers to frequently asked questions like, "What are the advantages to renting a vacation home instead of a hotel room?" and, "How much more will it cost to rent a vacation room instead of a hotel room?" You'll want to include as much broad information as possible on this topic page - a couple of quick answers won't be enough! Your goal is for Google searches to be directed straight to the topic page when searchers first visit your website. From there, they'll either get a quick answer to their question (Hint: short, helpful answers are most likely to be displayed in the answers to "people also ask" highlights) or they'll be able to explore their questions in greater detail on the linked pages. The shape of content is changing once again and it's important that your website take the steps necessary to keep up! 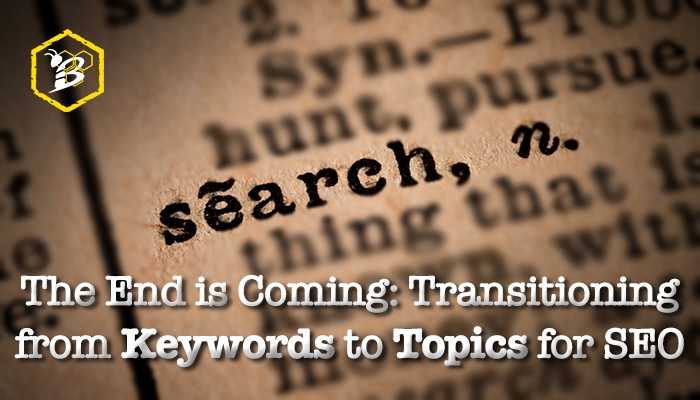 If you're struggling to make the switch from keywords to topics for your organization, contact us. We'll work with you to shift the way you think about your content creation strategy so that you can develop better search engine ranking.